What an amazing week it’s been in the mountains this week. And this weekend is sure to follow suit in what will be surely be the best weekend of the season to date. Perisher and Hotham have received 80cm and 100 cm of snow this week respectively and all are heading into the weekend with the best snow conditions since 2000. In NSW, Blue Cow opened yesterday too. With the Ridge, Summit and Terminal Quad Chairlifts spinning, there is some amazing skiing and boarding to be had on old the crowd favourites, Zali’s and Excelerator. As we move into the weekend, Mt Perisher is opening tomorrow and Guthega on Saturday. Things are looking up just in time for the Weekend. Perisher advises that today they have received 34cm of snow so far and it’s not stopping any time soon. Today and Saturday are forecasted to have the heaviest of snow falls with up to 40cm through today and up to 20cm Saturday. The mountains are in for blizzard conditions with strong winds, cold temperatures and consistent heavy snowfalls. Similar conditions are forecast to continue into early next week. With up to 70cm of snow predicted to fall by Monday, the excitement is palpable. Check out these images from Perisher today. Are so-called #BlizzardofOz events set to become the new norm? Hashtags. Yep, we saw just about every one of them last winter. And deservedly so: the so called blizzard of oz events 1.0, 2.0 and 3.0 dumped copious amount of snow on the Aussie Alps, bringing joy to punters everywhere. But are such events really ‘freak’ events, or are they set to become the new norm? “Does that mean more snow and deeper powder” you ask? Well sorta, but not really. Let’s take a closer look. Clunky hashtags and comparisons with Northern winters flew fast and thick last year, but as those of us who have been around know the Australian snow season has always had its highs and lows: from 1981, which blew minds with snowfalls upward of 360 cm, to 2006 which delivered a soul destroying 85 cm. There is no denying that our climate is highly variable and not surprisingly last years’ bumper season had the ignorant minority (ahem, the ‘climate change denialists’) pointing the finger and saying “we told you so” (probably the same people that read this article “Trump to ban snowboarding if he wins the US election“as fact, not satire). Yet, despite the frequency of blizzard of oz events last year, the message from climate scientists is just getting louder: temperatures are warming and snow falls are sadly declining. For example, a recent report by CSIRO, predicted that climate change could shrink Australia’s skis season by 20 to 55 days a year by 2050; and that’s under a best case scenario!! The experts at CSIRO also flag the scale of the variability (or the propensity for very large peaks and very large troughs) in the data. This variability is also evident in data collected by workers from the Snowy Mountain Hydro Electricity Scheme. Analysis of these data, which go back to 1954, confirm the declining trend, but also confirm that the variability seems to be increasing! What this means is, even though we are seeing an overall trend toward less snow fall on average, big powder dumps are still very much possible and ­­– here’s the kicker – potentially more likely given our changing and increasingly variable climate. Take for example, the ‘thundersnow’ conditions associated with Blizzard of Oz 1.0, and the recent tendency for long periods of dry weather, followed by significant events such as Snowmageddon (2016), Blizzard of Oz 2.0 and Blizzard of Oz 3.0. Yeah, Nah – probably not in our immediate future. Could this mean events like Snowmageddon and Blizzard of Oz could become more frequent in the short to medium term? With the increasing variability in snow falls and an increase in ‘extreme’ events, there is certainly an argument for it. There is a downside however. Experts predict that big dumps — like the ones we’ve been seeing — will still happen in a changing climate, but top-up snowfalls through the season may be less regular, and potentially interspersed with periods of warmer weather (and possibly rain). This is where snow making can help. In the short to medium term, snowmaking technology is expected to fill the gaps and provide the tops ups needed between more substantial natural snowfalls. It will come as no surprise then to learn that in the last decade tens of millions of dollars have been spent safeguarding Australia’s ski fields to the ever growing pressure of climate change. Snowmaking is now even possible in temperatures up to plus 30 degrees C. With this investment, it seems our winters are safe for the foreseeable future. Could these events become the new norm? With increasingly unusual peaks and troughs in weather data and the freak conditions we have seen of late, something tells me they could be….and let’s hope so. Fresh of the back of a cracking 2016/17 World Cup season, where he podiumed no less than three times, mogul skier and Perthite Brodie Summers was feeling on top of the world. But just months out from the 2018 Winter Games, Brodie suffers a freak accident leaving him with a torn ACL and a broken tibial plateau (upper shin bone). Ouch! Although clearly a blow to his Olympic preparations, his spirit and determination remains strong. As Brodie is a member of the Snowriders Australia admin team, the news of Brodie’s injury hit us hard – but not as hard as it hit him. Obviously! We caught up with Brodie at his NSW home in September where he was busy recovering from surgery and intensive sessions in the gym. We started by asking him exactly what happened and what the injury means for his Olympic preparations. The snowiest spring for many, many winters has encouraged the Falls Creek Country Club to offer 50% off its self-contained apartments and 50% off ski or snowboard equipment hire. This well-priced special applies to the remaining days in September and the first week of October. Due to the amazing amount of snow that has fallen in the last five days (over a metre) there’s more snow on the alpine resort’s array of slopes than any other Victorian alpine resort. This mega snow cover has resulted in a decision to extend the Falls Creek season by an additional week. Valid for direct bookings only. Terms and conditions apply. Learn from some of Australia’s top female ski and snowboard athletes including 2x Olympian Katya Crema this September 16th and 17th. Making its well awaited return to Hotham, Chicks with Stix is a free weekend of freeride and park training sessions. If you are a female aged 12 or over who is confident on blue runs and looking to progress your skills, then these Chicks with Stix sessions are for you. You could learn how to pop off a jump or slide a rail in the Terrain Park. Other times, you may learn tricks such as spread eagles, grabs, 180s and 360s. Out of the park, mogul technique, short turns, long turns and how to read a slope are all a part of the sessions. Founded in 2010, Chicks with Stix is a non-for-profit organisation that was established by a group of like-minded, passionate snow loving girls. Their aim is to provide much needed encouragement and opportunities for girls who ski and snowboard. 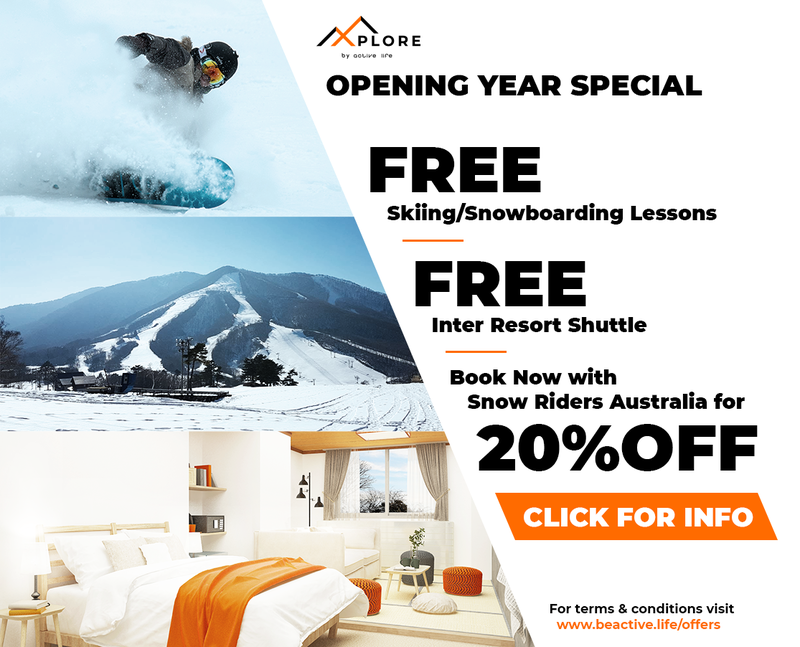 They offer them a chance to ski and board with the best female snow-sports athletes in Australia, having fun times and helping improve skills in park-riding, freeride, slopestyle and big mountain. Active Life, Madarao, is hiring! LOOKING FOR A JOB IN MADARAO? Active Life are now hiring hotel staff for the 2017/2018 season! Active Life Group owns and manages 2 hotels in Madarao Ski Resort which are Active Life Madarao hotel and Hakken by Active Life Madarao. Both hotels are within 5 minutes walk from the ski lifts. Located Northwest of Tokyo in the Nagano Prefecture and accessible directly from Tokyo on a 1 hour and 50 minute comfortable bullet train ride, Madarao is one of the fastest growing international alpine resorts in Japan with most international guests coming from Australia, Hong Kong, Singapore, Thailand, China, New Zealand and the UK. Across Madarao and Tangram, there are 20 chair lifts and an average snowfall ranging between 10 and 14 metres. Tree-skiing is allowed and the resort is ideal for beginners, intermediate and expert riders and skiers. The team at Active Life combine hard work with great fun to give our staff a unique travel experience, lifestyle and working holiday unlike anywhere else in the world. We start our staff with training to give you all you need to know about working for Active Life! Our staff accommodation is free! We offer twin share rooms, however upgrades may be available during quiet periods in the season. Hotel staff are provided with 3 free meals daily. 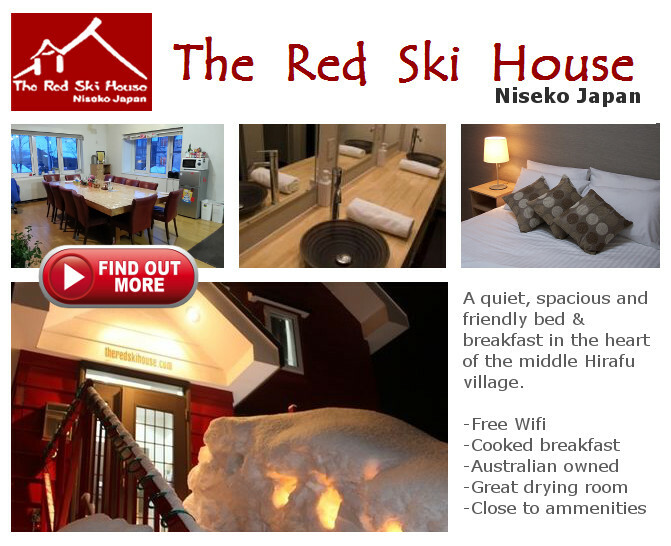 The hotel offers a free shuttle to Nozawa Onsen, and there is Myoko Kogen for easy and full-day access on your days off.